When people say her name what automatically comes to mind is her sense of style, her elegance and grace, her wonderful personality, and of course her funny face. Click on the "x" if you can't see the picture. To vote for my site!!! 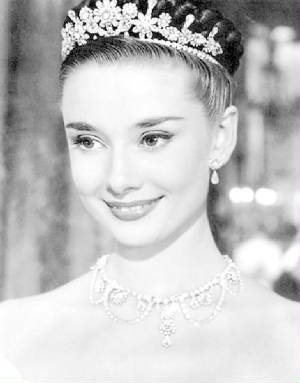 Audrey is one of the most celebrated celebrities of all time. She has been in some of America's classic and best movies. And she has captured our heart like no one else did or has. She was graceful and elegant with still being shocking and fun. Everytime Audrey stepped into another role she became transformed as that character. Yet as many actresses come and go Audrey is still capturing new hearts and will always be s'wonderful. I hope you'll fogive me if I can't update it for a while and it will be "under construction" probably for the first few weeks. So keep coming and see what I've done to the site! Sorry if banner doesn't show up. Click there to vote for my site! Thanks for your support!